Your bathroom is the place where you start and end your day. The place where you rejuvenate your body and cleanse your thoughts. The bathroom is an important room in our living spaces, so, not surprisingly, people want to invest in their bathroom design to make it more functional, convenient and beautiful. Whether you like more classic bathroom designs, or futurist and modern ones, or you want to fit your bathroom with specialized fixtures by your needs, there is no limitation to imagination. The world’s leading manufacturers of sanitary ceramics and bathroom fixtures take care of helping you realize your dream bathroom. Your bathroom design idea gets completed by choosing the right sanitary ceramics and bathroom fixtures that will fit your design seamlessly. Whether you want to finish your brand new bathroom or want to overhaul your old one, this is the right category to start. We offer products for your modern bathroom design ideas from leading European and global manufacturers. We offer top quality bathroom products with high-class design and functionality. We offer wide range of products for your bathroom design: WC units, console toilets and console bidets, concealed flushing systems, wash basins and bathroom sinks, bathroom taps and bathroom faucets, shower mixers and shower systems, smart shower systems, bathroom furniture and bathroom accessories like modern bathroom mirrors, vanity cabinets and countertop bathroom cabinets, towel holders and soap dispensers, to complete your bathroom the way you like best. We carry products from world-class manufacturers like: Villeroy & Boch designer wash basins and wall hung toilets. Premium sanitary ceramics from Duravit, Geberit, Catalano. Top-quality bathroom taps and showers from Grohe, Hansgrohe, Kludi, Roca, Bossini, Ideal Standard. 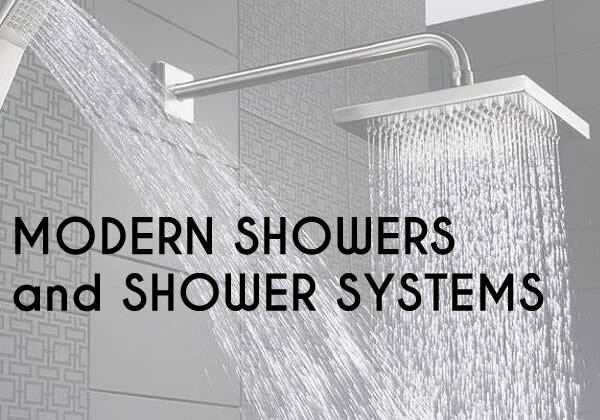 Modern bathroom fixtures that don’t compromise on quality. Choose your bathroom sink and pare it with a bathroom tap of your choice, or choose a collection that matches your style and have your toilet and bidet, shower and bathroom basin all of matching design.